The Robert Johnson Blues Museum is looking for help! The Robert Johnson Blues Foundation, managed by the family of Robert Johnson, is seeking to raise funds to remodel the museum in Crystal Springs, Mississippi. 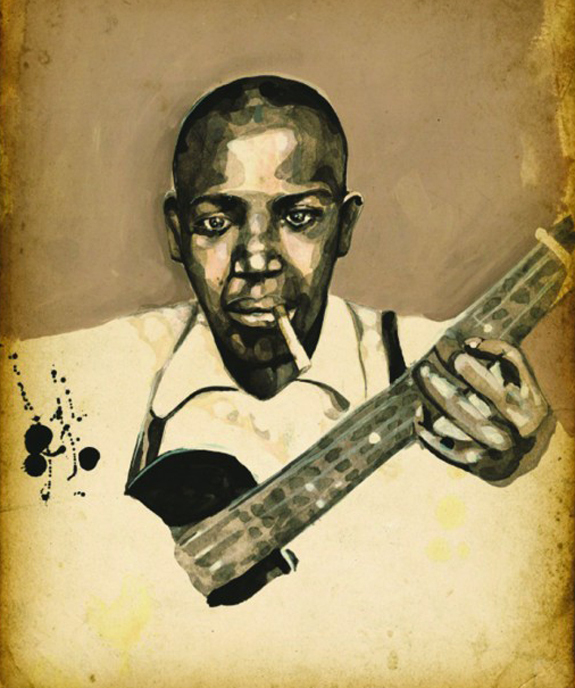 The museum honors the life and legacy of Robert Johnson, and serves as one of the sites on the Mississippi Blues Trail for fans to appreciate the area that gave birth to the blues. The museum project was envisioned by Claud Johnson, son of Robert Johnson, and is now being carried out by his sons, following Claud’s passing this year. Please visit the Robert Johnson Blues Museum GoFundMe page if you would like to contribute to this cause, or please share the GoFundMe page if you would like to have a part in keeping this legacy alive. Thank you for your support. Encore Park, an innovative cultural and social impact campus in Dallas’ historic Harwood District, is hosting the Robert Johnson Blues Revue on August 14 and 15 at its 508 Amphitheater. The public concert on August 15 will feature Robert Johnson’s grandson Steven Johnson and special guest guitarist Holland K. Smith and open with the Dallas Street Choir. The Robert Johnson Revue will also perform on August 14 following a VIP reception at the new amphitheater. Steven is returning to Dallas to celebrate and perform his grandfather’s music with his band at 508 Park, the exact location where Robert made music and blues history and recorded half of his songs in 1937. Robert Johnson’s only recordings were produced by Don Law and Art Satherley of the American Record Corporation (Brunswick and Vocalion). Johnson died in 1938. His music was rereleased by Columbia Records in 1961 as “King of the Delta Blues Singers,” influencing musicians around the world. 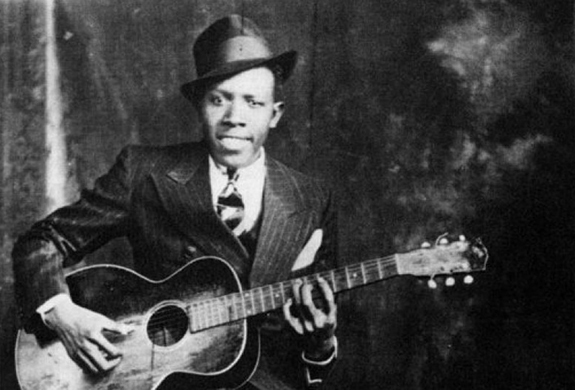 Robert Johnson’s music inspired legendary artists like B.B. King, Eric Clapton, and Keith Richards. General admission tickets for the August 15 concert are $10 and preferred seating tickets are $40. Gates will open at 7:30 and event-goers are invited to bring small coolers. Chairs will be provided. No pets or firearms. Free public secure parking is available in the First Presbyterian Church garage at 408 Park Avenue at the northeast corner of Young Street and Park Avenue. VIP tickets are $75 and include a reception and short show with Steven Johnson and his band on Friday night, August 14th. The VIP ticket will also include admission to the Saturday night concert. Both events will take place at the 508 Amphitheater starting at 8 p.m. Tickets can be purchased here. Encore Park, an outreach project of The Stewpot and First Presbyterian Church of Dallas, is an innovative revitalization program of an historic, but long-neglected block in downtown Dallas. Work began with the Church’s purchase of 508 Park and adjacent properties in 2011. With the goal of improving the lives of the homeless and improving downtown Dallas, the cultural social campus currently includes Encore Park’s 508 Amphitheater, Sculpture Wall and Community Garden. Fundraising for Phases II and III to complete the interior of 508 Park’s recording and art studios, rooftop, and Museum of Street Culture; add a teaching kitchen to the Community Garden; and renovate 515 Park is underway. More information at www.encoreparkdallas.org. 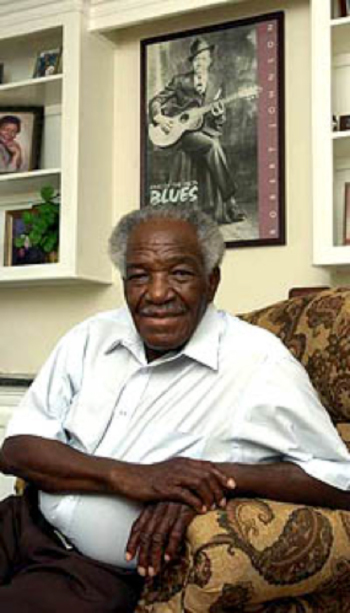 We are saddened to report that Mr. Claud Johnson, son of Robert Johnson, passed away this morning at the age of 83. He lived a long, full life and is now reunited with his beloved Earnestine. We will miss him dearly and ask that you keep the Johnson family in your prayers. A full obituary will be posted at a later time. There are myriad ways to remember Robert Johnson. You can identify him as the King of the Blues, the quintessence of the notion that the purest way to cathartically address the demons inside us and the pain accrued during our lives is to grab a guitar and sing about them in the most fearlessly expressive terms available. You can say he’s in many ways the first singer-songwriter, someone who wrote with searing confessional honesty about his life, taking words and phrases both familiar and unique and assembling them in such a fashion that it was like he had taken a picture of his soul and exposed it for the world to see. Maybe you prefer to think of the influence he’s had on modern music, not just in terms of the hundreds of cover versions of his songs that have dotted the landscape for the past half-century or so, but also in the work of musicians like Bob Dylan, Keith Richards, Eric Clapton, and dozens of other rock luminaries who owe a great debt to the example that Johnson set in a mere 29 songs, the sum total of his recorded legacy. … The music is what the Robert Johnson Blues Foundation has always attempted to bring into focus. Like any organization that depends on donations from others for its ability to achieve its goals, which not only include the preservation of the Johnson legacy but also the betterment of the Copiah County, Mississippi, area from which the blues legend hailed, the Foundation has struggled in recent years along with the economy. 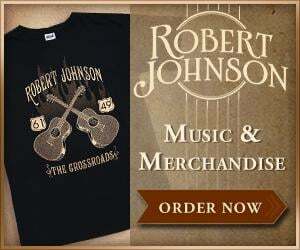 The good news is that, according to Steven Johnson, Robert’s grandson and the vice president of the Foundation, better economic news means that this year should see the return of initiatives like the New Generation Award for aspiring young musicians and a music festival in honor of Johnson. Read more at American Songwriter. The May/June 2015 “Blues Issue” of American Songwriter magazine is on newsstands now. The iPad version is available at iTunes, and the Android-compatible version is available through Google Play.